Perfect property for a warehouse, supply and transportation staging, centralized officing, large equipment storage -- multitudes of uses! County zoning is I-3 (Heavy Industrial.) 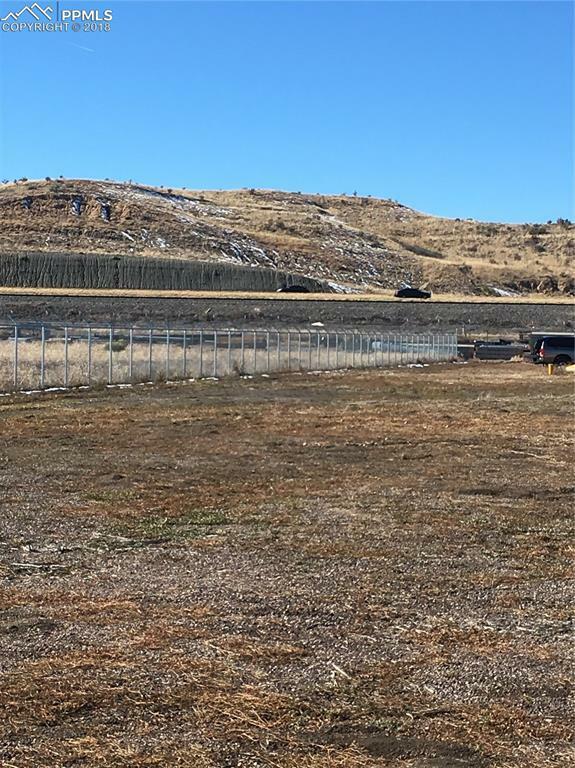 Convenient access from frontage road along I-25, ideally located midway between Colorado Springs and Pueblo. 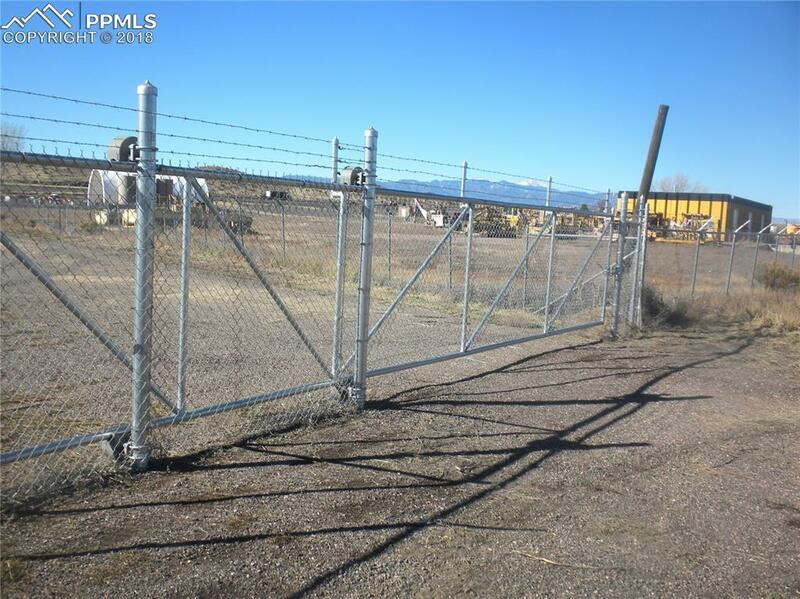 Two 24 foot wide entrance gates on east side of property will accommodate large vehicles. Professionally graded road to property. Newly permitted well on property. Engineered Septic System installed and licensed by El Paso County. Single face electric power on property is ready to use. There is also a pedestrian gate. 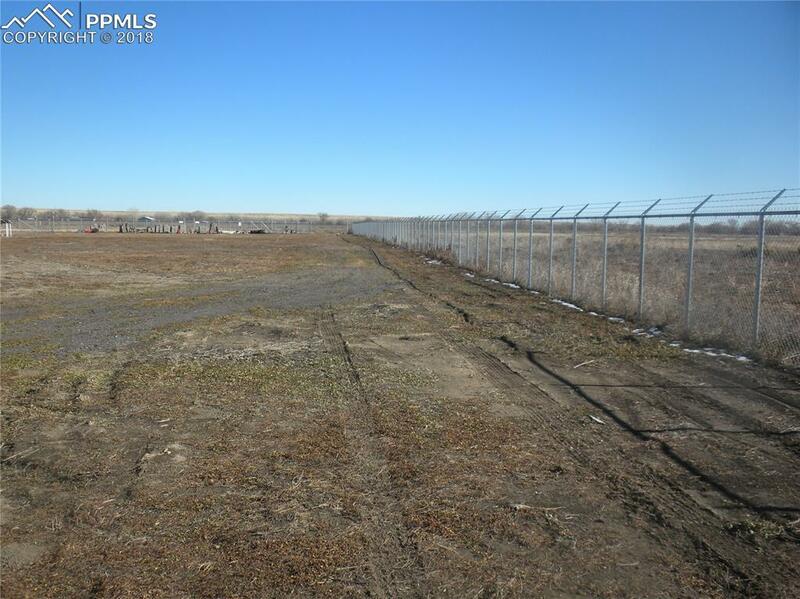 This two and one quarter acres of commercially zoned land has high wired security fencing for maximum protection. 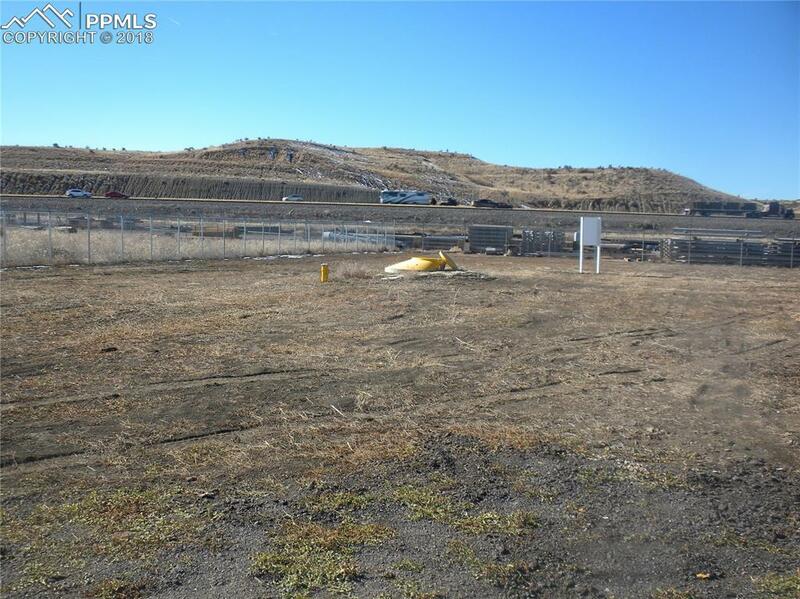 THIS PROPERTY IS READY FOR YOUR COMMERCIAL PROJECT!